Sue Desmond-Hellman (CEO of Bill & Melinda Gates Foundation) and Nick Hurd (Minister for International Development, DFID – UK Department for International Development) have written a joint article on putting science at the heart of development. (1) Putting science at the heart of development means greater recognition of the role that ALL the sciences can play, ensuring that all the sciences are playing their role in ending poverty. For many of those reading this post, that means working hard to put geoscience at the heart of development (including natural resource management, agriculture, water and sanitation, disaster risk reduction, climate change, health…). Geology has a significant role to play in many of the Sustainable Development Goals. (2) Putting science at the heart of development means greater integration of scientists within the development sector. We need to see more effective, meaningful partnerships between scientific organisations and those delivering development support. Having scientists embedded within development organisations (including international NGOs) helps increase understanding of the benefits and limitations of science, together with supplying specialist technical knowledge to inform policy, programmes, and campaigning. (3) Putting science at the heart of development means strong technical capacity strengthening. It’s great to see the article emphasise the importance of developing scientific knowledge in Africa and, we would add, other low income countries. Scientific and development organisations should be actively engaged in strengthening the technical capacity of institutions such as universities, research institutes and public-sector geological surveys. This requires meaningful consultation, with all relevant groups represented and working together as equals. This demands a wide range of supporting skills, including cultural understanding, effective communication, diplomacy and knowledge exchange (read more). 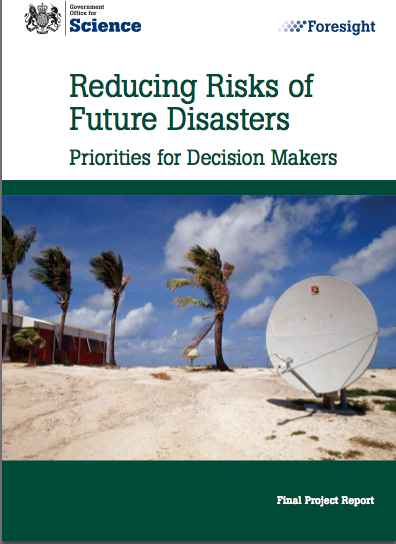 GfGD welcomes the release of the UK Government Office for Science Foresight Report into “Reducing the Risks of Future Disasters: Priorities for decision makers”. The report has been specially commissioned to recognise the growing need for good disaster and risk reduction (DRR) science. The report describes how the growing threat of natural hazards to increasingly vulnerable communities worldwide can be lessened using better processes of decision making, through the integration of information provided by scientific developments. 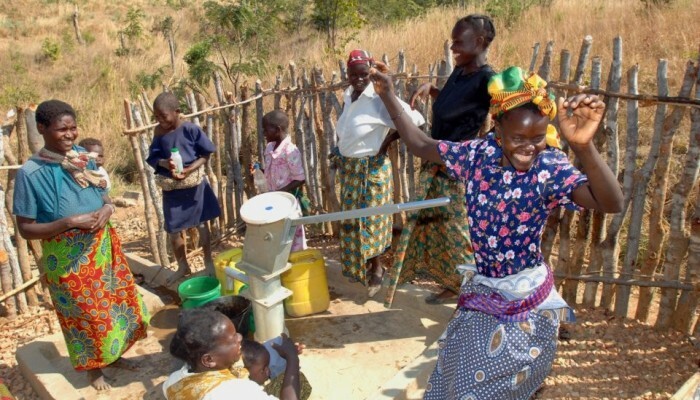 This course of action will subsequently save lives and resources in developing countries. Over the next 30 years the risk of disasters is expected to increase as a result of amplifying factors, primarily expanding populations in high-risk regions and a warming climate. 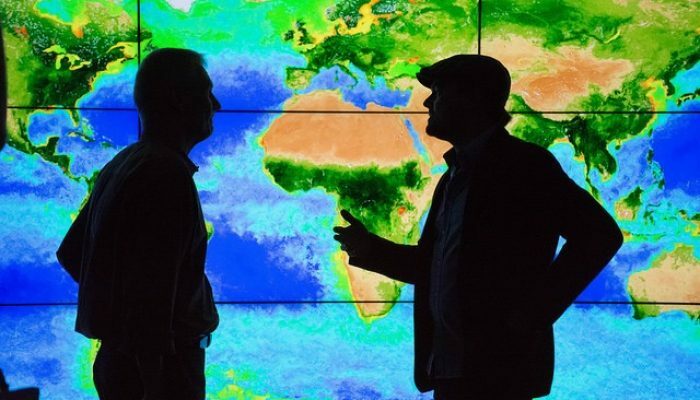 Through strategic investment in scientific research, we can expect to improve our ability to predict, understand and manage hazards. We support the decision by the UK Government and Department for International Development to invest in developing and improving this field through the production of this report. We are particularly encouraged by the report’s focus on the improved use of science and evidence within disaster and risk reduction; it is important that the latest geoscientific knowledge on hazards is understood by policy makers, especially in developing countries where populations may be more vulnerable. At the same time, we feel it is prudent to recognise the limitations and uncertainties of DRR science and to ensure we are sensitive to and inclusive of indigenous knowledge. There is a need for training in the communication of science to include multi-disciplinary and cross-cultural approaches. Exchange and overlap between geoscientists and development practitioners should continue to be encouraged. You can read our official response to the report from our advocacy team, and read a summary of our response in our press release. We also hosted a twitter discussion about the report, which has been documented using storify. Our discussion focused on the meaning of some of the terms in the document: vulnerability, hazards and disasters, which are often misused. We also asked broad questions that we have to address following of the Foresight report’s findings: What kinds of collaborative efforts can you see happening in the next 20 years relating to DRR? Do you think scientific literacy on vulnerability is increasing? What can GfGD do to enhance this? How ready are the scientific community to incorporate local and indigenous knowledge into their work, hazard analysis and hazard assessments? Is this valued and used currently, and if not why not? We welcome your continued contributions to this discussion through twitter, facebook or blog post comments. We believe that geoscience can make a significant contribution to DRR. Further steps need to be taken to ensure that the scientific tools and models being developed can be used to their best effect by other stakeholders. Geology for Global Development will be working to play their full part in addressing these challenges, and preparing young geoscientists to contribute to DRR. China, one of the largest and most populated countries on Earth, is emerging as an economic superpower. More and more frequently, emerging economies are choosing to peg their currency to the Yuan, rather than the US dollar. Their success is built on a strong research and development sector. 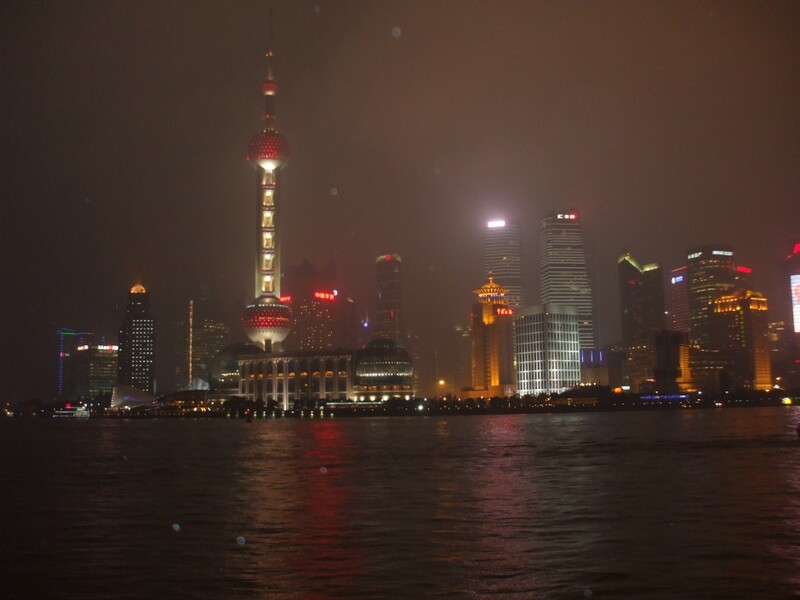 Having just come under new leadership, China is entering an exciting decade. 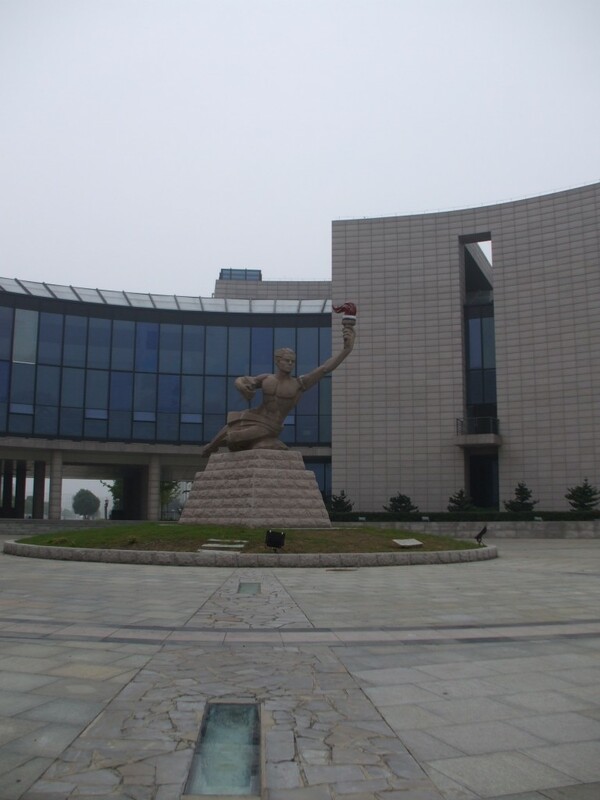 On a recent trip to Xuzhou city, Jiangsu province, I was able to look around the University of Mining and Technology . The campus is huge and a large proportion of it is dedicated to geoscience. The newly renovated laboratories were filled with every kind of analytical facility, but strangely devoid of geoscientists… the University has been expanded to accommodate future growth. China is preparing to become an academic and economic powerhouse – racing out ahead of the pack in scientific research. While the rest of the world is allowing science funding to stagnate, China increased funding by 50% between 2010 and 2011, identifying Earth Science as a key target area. China has always invested heavily in geoscience for two reasons; they have a thriving extraction industry and they are threatened by a number of geological hazards. There are regular deadly earthquakes, landslides and water resource issues. As well as securing it’s academic future through investment in research, China is acquiring resources world wide, most notably in Africa, to fuel the rapid growth in buildings and infrastructure. Many of the outcrops we attempted to visit during our field campaign had been covered up with new towns since the previous field season! China’s interest in Africa’s natural assets may have a knock-on effect, bringing infrastructure and resources into parts of Africa. The recent leadership shake-up in will have a big impact on the direction of China’s growth and development over the following decade. Xi Jinping, who did a degree in chemical engineering, was recently announced as leader of the ruling party. He will now lead a country of 1.3 billion people alongside the six other men on the party’s standing committee. It is unlikely that Xi Jinping will make any changes to his predecessors policies until he has spent some time in power. Mr Xi will face some serious challenges during his leadership: moving away from reliance on coal power, managing natural hazards, and narrowing the gap between the rich and the poor. Although urban China is now surfing alongside the EU and the US, parts of rural China have been drowned by the wave of recent development. Many people in China have not seen the benefits of China’s growth and are still living in poverty. 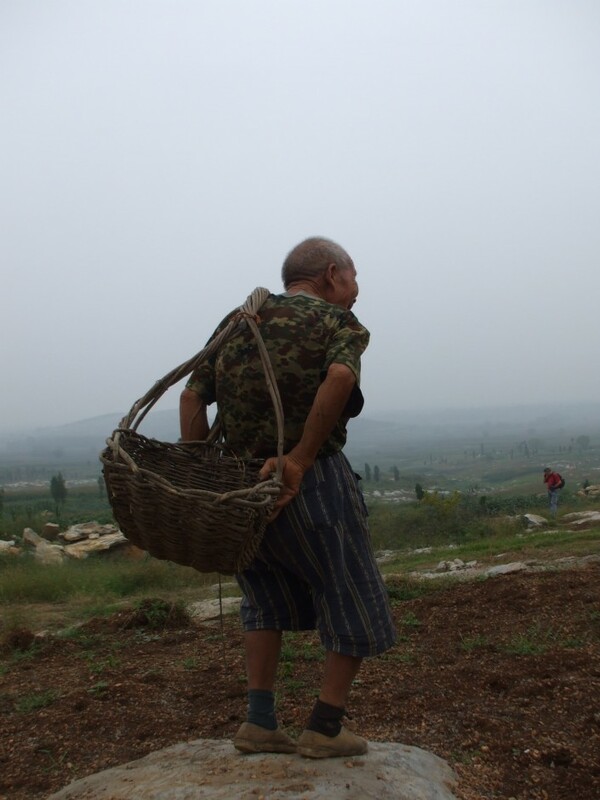 This elderly man is harvesting peanuts by hand in rural China. We urge Xi Jinping to use his powerful position to take action on climate change, to drive development throughout China and to continue heavily funding geoscience and hazards research.